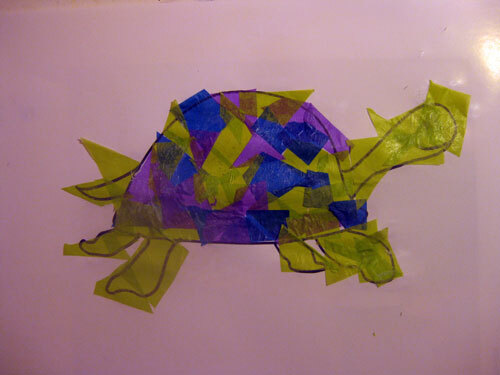 I wanted to find another way to make a fun Tadeo Turtle. 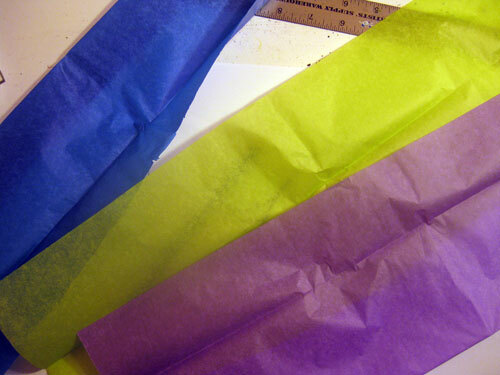 So I used tissue paper. 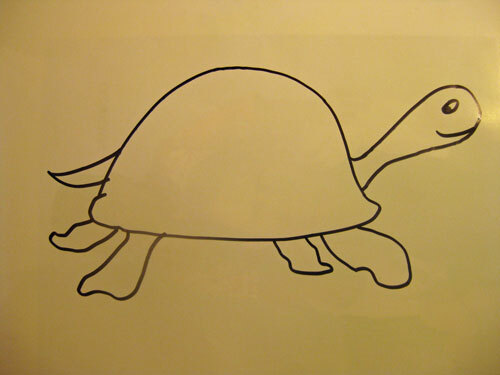 First I drew his picture. 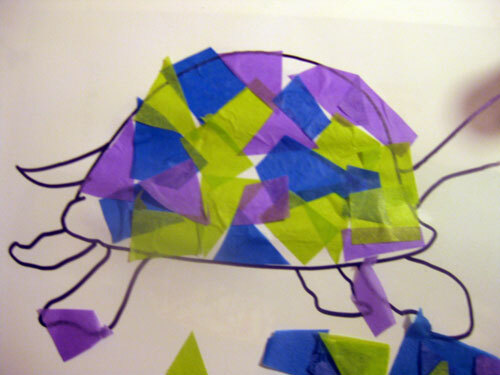 Then I cut small pieces of tissue paper and glued then onto the turtle. 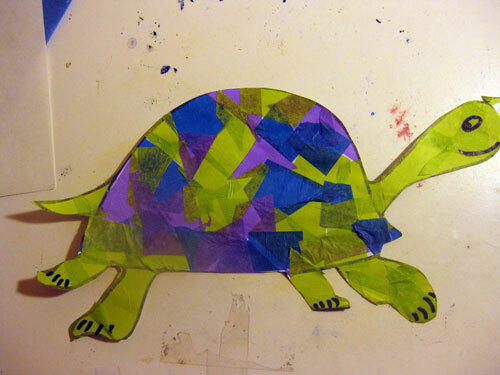 Don’t worry about overlapping the edges as you will cut out the turtle later. Put lots of little pieces of tissue over the outline. 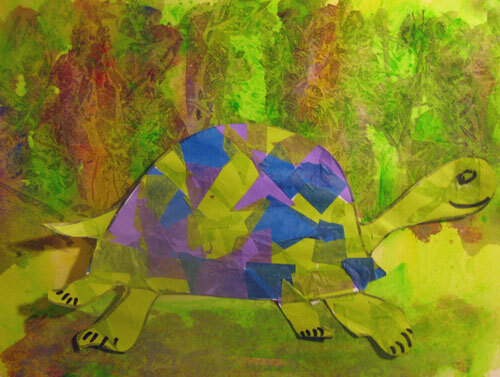 Continue to put lots of tissue on his body, even overlapping the colours. I used green for his head, limbs and tail. Now you could say you were done at this point. But I wanted to create a picture. You could paint a scene and paste Tadeo into the scene. Any scene would be wonderful. I painted a background on heavy paper. First I wet the paper. 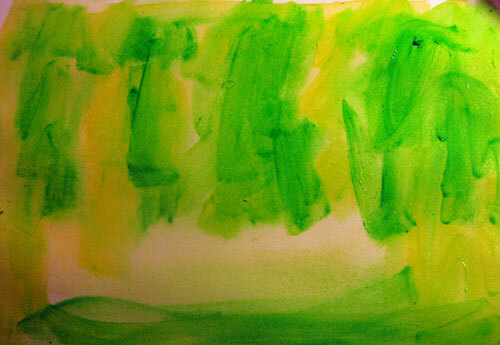 Then I applied lots of colour – any colours you feel like – I used green and yellow and later added reddish brown. Then comes the fun part. 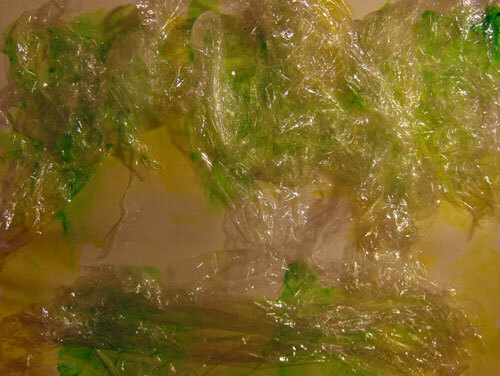 Scrunch up the plastic wrap and place it all over the wet paint. Scrunch up plastic wrap on the painting. 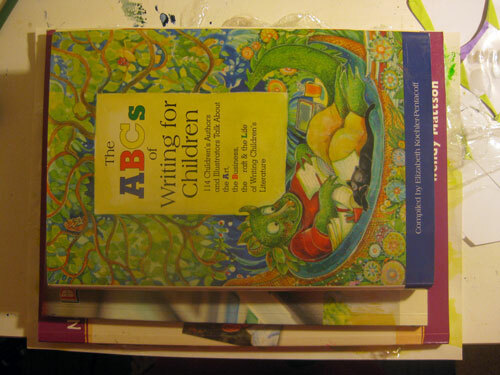 Use books or heavy objects to keep the wrap flat. Glue your Tadeo to the background. I would love it if you would send your children’s projects to me, Janis. 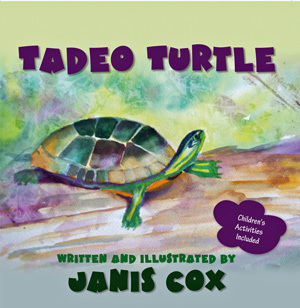 I will post on Tadeo’s Facebook page and here on the blog. Thanks so much. Have lots of fun. I did!!! 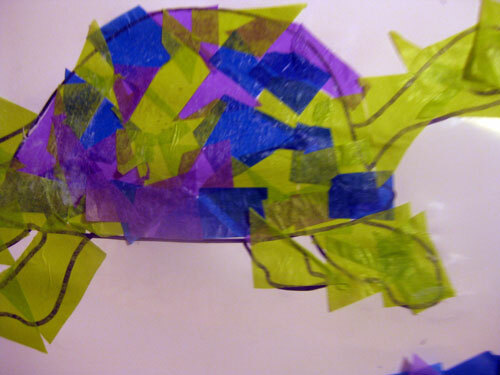 This entry was posted in Prayer and tagged craft, Crafts, kids, painting, plastic wrap, Tadeo, tissue paper, turtle on March 9, 2013 by JanisCox.